The band of the ring features one row of diamonds to generate a subtle glisten and shimmer throughout the ring. 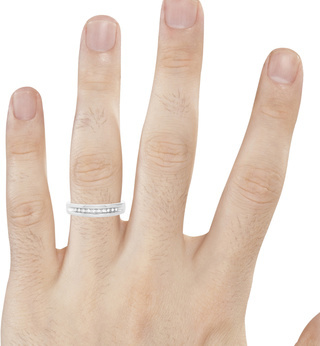 This Diamond Men's Wedding Band has a great value with a look that screams expensive. It’s for the stylish man on a budget who wants to look the part without paying the hefty price. 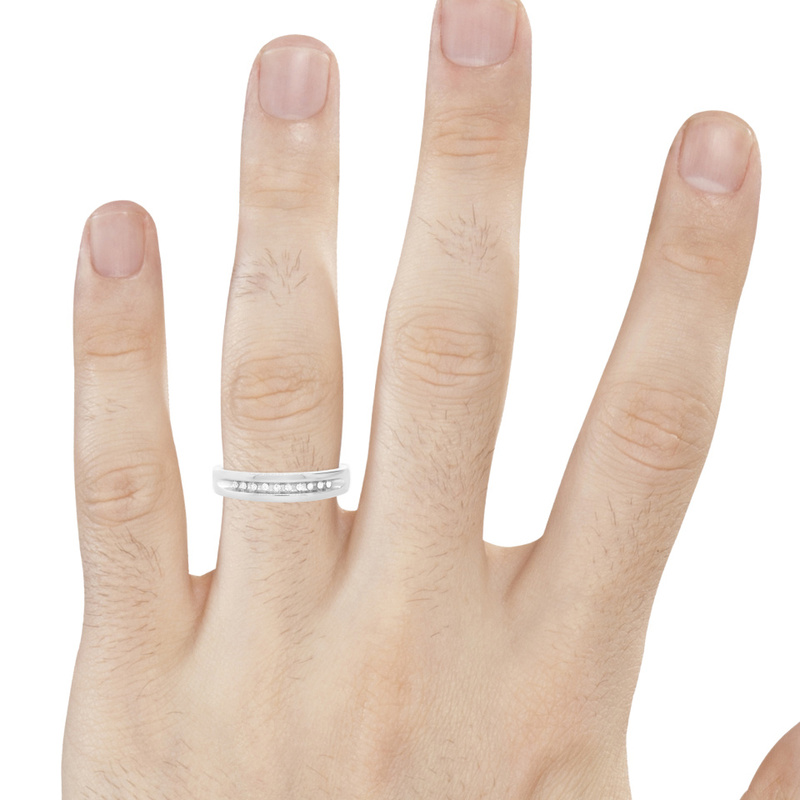 The polished 10K White Gold band holds 10 authentic, conflict-free diamonds in a channel that extends past the diamonds. The prominence of the White gold in comparison with the diamonds helps this ring stand out. The ring is exactly as pictured on your site. 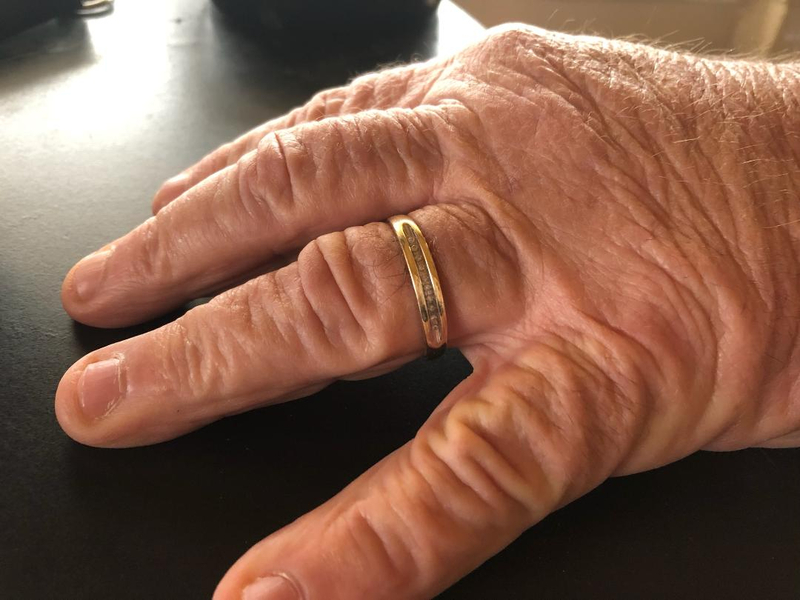 I ordered it one size up as my husband said his old ring was tight. I guess it wasn't as tight as I thought. His new ring is a bit big but he likes it. I am happy with my purchase - just need to downsize the ring somehow. I needed to replace my husbands ring. It is beautiful. I'm a happy wife. Thank you We love the quality and the price. How can you beat that! Hubby lost his first ring of our set, but loved it, so he re-ordered the same one again. The ring is beautiful! Perfect fit. It wasnt suppose to have arrived until the 29th of december, i received it on the 22nd!